Appaloosa is a simple and secure enterprise app store. "Great product, filling a niche left by MDMs"
I like that Appaloosa does exactly what it says (in-house app store), does it well and at a good price. We needed a way to manage and install in-house test applications across many devices. While classical MDM software can do this, it usually also does a lot more and the price reflects this. Appaloosa has a steady stream of improvements and new features are prioritized based on user feedback. We've been happily using the service for the last few years and never had issues. Nothing major, but a UX designer would probably be able to spot and improve the overall feel of the product. Make a list of requirements for your use-case. Appaloosa may not fit them all, but if it does, it's a solid choice. Distributing apps across about 100 devices. Simplicity and easy of use of the product and an ability to generate a custom branded app store. Their support is great and the product works as advertised. They are quick to address any issues that have risen and have taken into account any feedback that was given. They are constantly trying to strive towards providing easier user experience. We have not experienced any service interruptions. They also have reasonable prices. Getting the app store installed is not that great when you are not allowed to upload the generated app store to any public app stores (security reasons imposed by the client not Appaloosa). This is not Appaloosa's fault but still it degrades the user experience. They are working on a solution to solve that problem which should significantly increased the installation experience such as making use of Android for Work. Definitely check them out. They even have partnerships with other companies providing additional value such as providing additional security for the apps. Enterprise apps distribution in BYOD environment. What Enterprise Mobility Management solution do you use? The Appaloosa support team are quick to respond to any issues/requests that you have. The overall quality of the product isn't quite there. Lacking in a few features that would really lift the quality. The system of looking at users and groups could be vastly improved. Further sorting options for the app would be beneficial. Consider your number of users and number of apps longterm before committing to Appaloosa. The costs start to rise dramatically, as does the effort to maintain. The ease of uploading and distributing Apps. We serve testers in 10+ countries and all supported platforms and once the users and groups have been created, it only takes minutes to distribute a new version. We use other distributing methods as well, but this works best for bigger groups and less tech savvy users. Would like to have an option inside the dashboard to delete multiple users. Eg based on a filter. Currently we use a node app to filter and delete. We've been using Appaloosa for four years, and the customer service has been phenomenal. We have customers in the US and Europe, and any time we've needed tp update our customer database or issue a new release, the folks at Appaloosa have been quick to respond and assist us. Plus, they're always improving the service, including updating the user interface. Love it! We have yet to encounter anything about the service that we dislike. 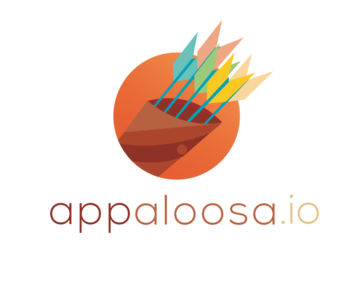 Appaloosa allows us to directly distribute our own apps internally to our buyer/customer base easily and quickly. We're also able to monitor users and user access. "Obsolete UI/UX - New UX advertised for too long"
The easiness of use. The stores customisation options. The teasing for the new UI since like 6 months with nothing since then. The fact that it asks to install different certificates for every single different stores (Fabric only asks once). The inability to propose updates right from the application. Propose applications to a large panel of clients for a relatively cheap amount. The simplicity an control to deploy an app. We can pubish an app in some minutes an decide who can install it. Its very important to our clients this control. Read carefuly the walkthroug before start the use. Everithing is there, you only have to do the right questions. InHouse build distribution. Faster than Itunesconnect. "Excelent option for enterprise controlled mobile apps distribution"
Very easy to setup, create groups according to our distribution needs and upload updated app packages. On the mobile device side, the registration, installation of the company store app and apps installation and updating is very straightforward, with the bonus of a webapi available. Never got to have it working on Windows Phone 8 "appx" apps. Very good at enterprise mobile apps distribution targeted to iOS and Android platforms. Control enterprise mobile apps distribution not only across alpha/beta/production channels, but also according to each customer calendar. We are solving how we provide test applications to out clients to review. "Nice Tools for Inhouse and testing build "
This tools offers an easy way to provide inhouse and test build to a large panel of users, from our testers to clients. It would be really nice to have a push notification when launching the app in order to be warned that a new build is available and we could easily get the new build version without having to download it from the website. A lot of time gained because it provides an alternative to itunes connect. "Best enterprise app distribution platform"
Appaloosa.io stand out as the best enterprise app distribution platform because of being intuitive. "Very useful tool for continuous integration"
We have been able to deploy our own developed applications quickly and easily. "Unlock your enterprise App management "
Appaloosa has a strong roadmap with good client base. Not much negatives to comment here. Include Appaloosa to accelerate ones business transformation in digital. - Group access right is somewhat difficult to fine tune (removing access to all version of an application is not possible). We are using Appaloosa for continuous integration and to provide pre-store builds to our customers. Process to upload applications is smooth and easy. Their 15 days free trial. Assistance is appreciable and they are reachable. Icons and images are refactored and quality degraded. We are trying to build our own App store. Don't hesitate to try it with free version ! "Une bonne experiences pour les besoins de mobilité"
It is practical, easy to use for technical and non-technical people. "quick & easy solution for private store"
"Great app for distributing test versions"
Appaloosa is an easy way to distribute pre-release versions of apps (especially IOS apps) to our customers. There was nothing specifically negative. Distributing IOS-apps to our customers before releasing them to the App Store has always been a pain. Appaloosa easily lets customers install an app on their phonejust as he would install it from the AppStore. The ease of setup was great, in a few minutes we can deploy an internal app on all our devices. The helpful staff when we were getting started. Not much really. It's a solid product and they had more features coming when we last talked. * We monitor all Appaloosa.io reviews to prevent fraudulent reviews and keep review quality high. We do not post reviews by company employees or direct competitors. Validated reviews require the user to submit a screenshot of the product containing their user ID, in order to verify a user is an actual user of the product. Hi there! Are you looking to implement a solution like Appaloosa.io?